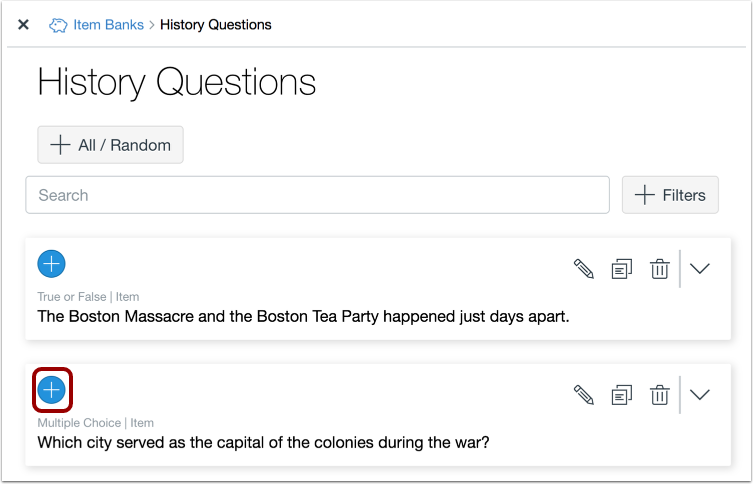 You can add individual items from an item bank to an assessment in Quizzes.Next. You can also add multiple items from an item bank. This lesson shows how to add an item from an item bank using the Item Banks button on the Build page. You can also access your item banks when adding content to an assessment. Click the name of the assessment. 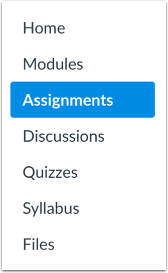 To add an item to an assessment, click the Add button next to that item. The item will display in the assessment. View the item in the assessment. To edit the item, click the Edit icon . To move the item, click the Move icon . To delete the item, click the Delete icon . If any tags have been added, the tags will display in the item . When editing an item bank item in an assessment, you will only be able to edit point values  and some options . 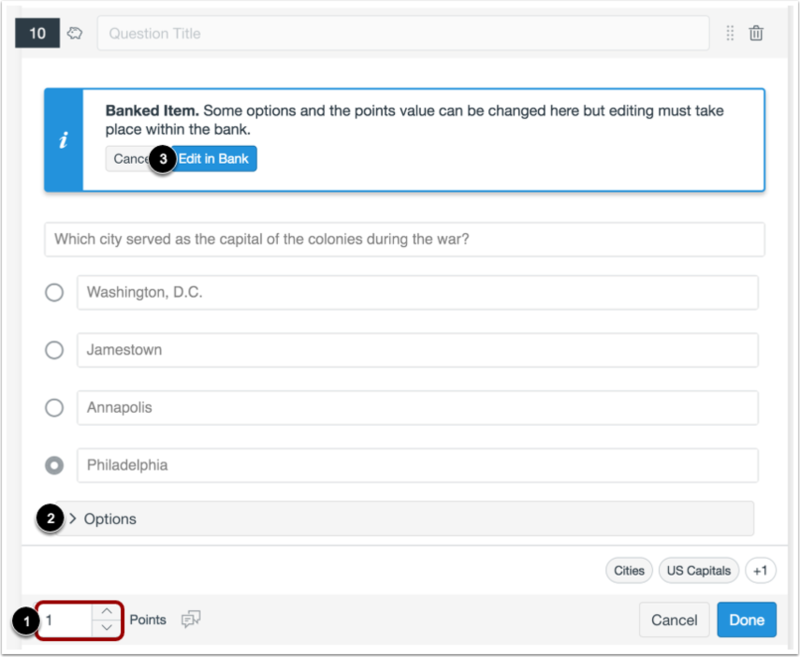 To edit other parts of the question, click the Edit in Bank button . Previous Topic:How do I import questions from a QTI package into an item bank in Quizzes.Next? Next Topic:How do I edit an item bank item in Quizzes.Next? Table of Contents > Quizzes.Next > How do I add an item from an item bank to an assessment in Quizzes.Next? 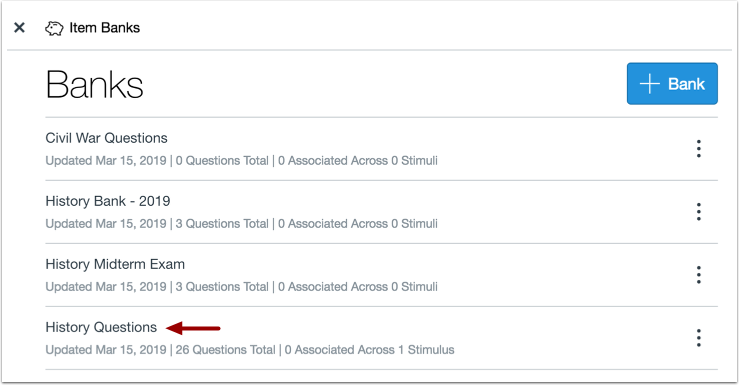 Re: Linking quiz questions to the question bank?